The overall body of Plejaren/Meier advice is so intelligent and refreshingly reasonable, whether regarding spiritual knowledge, Earth Human behavior, politics, prophecies, environmental concerns, geological phenomena, scientific data and so forth that, in these chaotic and troubled times, the inclination is to turn to this source for the answer to everything � without thinking it through. But, try as you might, it simply doesn�t let you. We (Vivienne and Dyson) have been working hard since 2002 to familiarize ourselves with as much of the material produced from the Billy Meier extraterrestrial contact case as possible. We have read virtually all of the available German-language texts, most of which are packed with a rich and consistent spiritual teaching. This teaching is also consistently expressed throughout the many broad ranging conversations between Billy Meier and the Plejaren which are published in the series of contact report books. One of the central messages seems to be this: We Earth people must learn to reason and sort out what is true and what isn�t through our own effort and through our own considerable, but mostly latent, powers of logic, rather than looking to external sources to solve the problems. When we learn to do this we will discover within ourselves enormous power with which we can transform our lives and our world for the better, for a peaceful world, based on love and wisdom, knowledge and truth, for the benefit of all humanity. This is not just a good idea but a responsibility and a necessity. In the meantime we humans are victims of our own undisciplined and illogical thoughts and continue to be easy prey for any who would oppress us through false beliefs and ideologies. 296.� L�ngst schon ist er nicht mehr Herr �ber sich selbst und gleicht einem ziellos umhergeschleuderten Korken in wogender, st�rmischer See. 297. Ohne Steuer und Segel treibt er dahin, und der Steuermann ist schon l�ngst �ber Bord gefallen.�. The Meier texts warn that we are rushing towards ruin, towards the abyss, because of the poisoning we have suffered from erroneous cult religious teaching which has brought forth the most evil degeneration, hate, vice, greed, lust, need and bloodshed, and has lead us away from the truth and discovering our true capabilities. We have brought ourselves �before the fangs of the beast of delusion�. Er, der Erdenmensch muss, wie jedes andere menschliche Wesen im Universum, durch eigenes Denken, durch eigene, Vernunft und eigenen Verstand die Logik aller Dinge erkennen und sich auf diesem Wege die Wahrheit selbst beweisen, wodurch sich die Erkenntnis erst zu Wissen und Weisheit bilden kann. Now, turn to the other information provided by the Plejaren and Meier. If you take the trouble to delve into the many explanations provided over the years, published in the contact notes, about world events, science, other extraterrestrial activity on Earth or strange phenomena, you find among the abundance of superior and consistent answers and details, some hair-tearingly frustrating puzzles, and explanations contrary to what seems reasonable. These are such huge topics and we are painfully aware that our world leaders and respected scientists, and other specialists, are not dealing with these things. Meanwhile, the overall body of Plejaren/Meier advice is so intelligent and refreshingly reasonable, whether regarding the spiritual knowledge, Earth Human behaviour, politics, prophecies, environmental concerns, geological phenomena, scientific data and so forth that, in these chaotic and troubled times, the inclination is to turn to this source for the answer to everything � without thinking it through. But, try as you might, it simply doesn�t let you. Any thorough attempt to get to the bottom of everything eventually leaves you out in the cold, all on your own, ultimately having to work it out for yourself. In fact, we may realize that it isn�t so cold after all, and it provides an invaluable learning opportunity and a journey of self-discovery. The Plejaren, as they keep telling us, are not perfect gods or angels or exalted beings who have all the answers, nor do they wish to provide us with all the answers. They are merely human beings, albeit far more evolved. 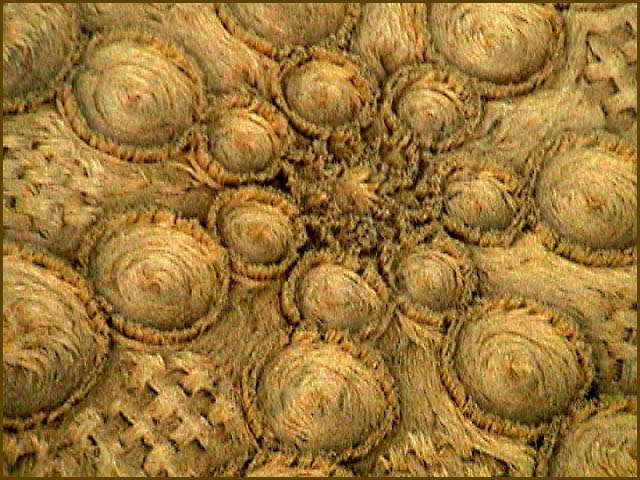 For a few years prior to 2002 Plejaren leader and JHWH Ptaah had given the explanation to Billy Meier that powers, other than of Earth humans, played a part in the coming into being of the grain circles (crop circles) and these beings were briefly described as being far less evolved than the Plejaren but more evolved than us. Or so I thought. A few other comments were made. 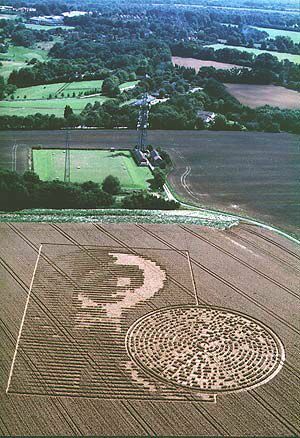 From this advice, which I found published in German in the 1998 FIGU Bulletin 19 on the FIGU web page, I conveyed the relevant 1996 and 1998 sections in my 2004 article, explaining, as Ptaah had, how these crop circles were intended to wake us up to the reality of a fast approaching open contact with extraterrestrials so that panic would not come about when that occurred. But, now, having read the corrected versions of the relevant contact reports, I find he isn�t recorded as saying that at all. I have now been told by FIGU that the information published about crop circles in Bulletin 19 was incorrect and they have since removed it from the online Bulletin. The corrected notes, which have been published in the 269th contact of October 4, 1998, explain that crop circles do not have to do with coming events and open contact, and it was the Earth humans, Ptaah referred to (who are influenced by the extraterrestrials to make crop circles) who are �standing very far below the development of the Plejaren�, thus requiring this type of communication. The extraterrestrial influence is of a vibrational nature. 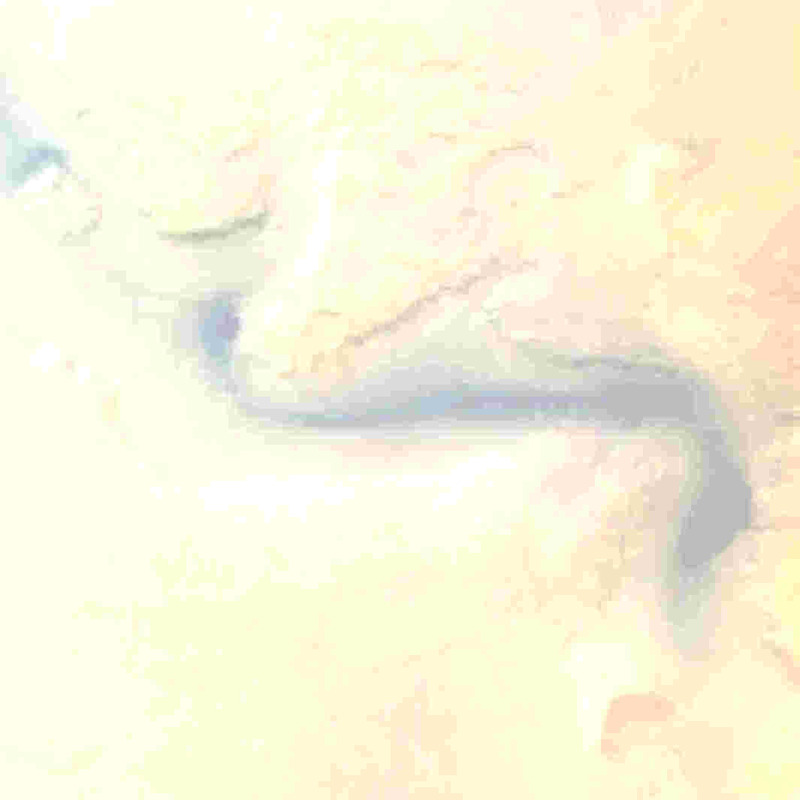 In the corrected version Ptaah still says that (then) the time was really not very far off when official contact between extraterrestrials and Earth humans may be expected, although it would depend on the attitude of the various world authorities, and military and secret services, and whether they would attempt to twist and obscure the truth of any such event. But he also said that the new explanation he was then giving was appropriate to give because events did not come closer, out of which a connection between the Earth people and Earth strangers comes about. When I wrote the article I was also not aware of Ptaah�s comments made in 2002. In the 14th March 2002 contact Ptaah used the phrase �energy grain circles�, respectively, �energy pictograms�, to describe some of the forms which had occurred since ancient times, (as had banal Earth human falsifications). But he said that, at that time, he couldn�t tell Earth people more about the source of these because, according to the directives which the Plejaren are obliged to follow, �the Earthly humans must find the solution to the puzzle themselves through progressing investigations and cognitions�. � and, were they, the Plejaren, to make their obtained knowledge public, then, �we would offend against our directives and, moreover, negatively influence the evolution way of the Earth humanity, which, however, may never lie in our sense and behaviour�. Even after further questioning from Billy, specifically about the energy source behind the formations, Ptaah would only mention something privately to Billy. Nevertheless, four months later, on the 20th July 2002 Ptaah told Billy, �The time had come to speak openly about everything�, as they had brought their investigations to an end and, since their prior conversation, knowledge had come about with the Earth people which allowed him to speak. He said that extraterrestrial influences actually hang together with the so-called energy grain circles and energy pictograms. These influences are not as the crop circle believers assume, ie. that the extraterrestrials are the direct originators of the forms. It is actually Earth humans who artfully, and with effort, step and roll and so forth, using suitable equipment of a very primitive form from pre-prepared drafts and markings which are hand-prepared first of all, however for a long time have been manufactured very artfully on the computers and transferred manually into the corn fields, and so forth. The entire thing concerns a pure human making, however extraterrestrial powers are involved. The extraterrestrial powers are not extraterrestrial life-forms of a human or other material form, rather, singly and alone, cosmic energy, the vibrations of which are taken up by sensitive people which creatively advances their fantasies and ideas. This is specifically evolution�s energy as the Plejaren also call it, being the finest energy vibrations that are available in the entire universe and are taken up by any human being and thereby excite their ideas and fantasies to develop. He further explains that the video which exists of a white colored object flying above a crop field, whereby a pictogram appears in the next moment, is, along with other similar videos, a falsification which was manufactured on computer. The constant emphasis, in the Billy Meier books and texts, on the message that we should think for ourselves, and that a true prophet is not a being of higher value than any other being, but is only a conveyer and announcer of teaching and truth and prophecy, should really make it very clear that those who insist that the organization, FIGU, founded by Billy, is a cult, are too lazy to even study the material, or worse, they knowingly choose to obscure the facts and mislead others. �F�r jeden Menschen im gesamten Universum ist die Eigenverantwortung auch vebunden mit der Pflicht zur Evolution seines Geistes, der ein Teilst�ck der Sch�pfung selbst ist. Durch den Geist lebt jedes menschliche Wesen im Universum mit der Sch�pfung und in ihr. Je bewusster dem Menschen diese Tatsache wird, und je mehr er sich danach ausrichtet, desto schneller schreitet seine Evolution voran�.